The five Baydon classes are named and organised this year as follows: Robins (Foundation and Year One), Goldfinches (Year 1 and Year 2), Skylarks (Year 3 and Year Four), Kites (Year Four and Five) and Hawks (Year Five and Six). The school day starts at 8:40 am when doors open to classes. Pupils enter classrooms and start with morning activities. Following this the whole school participate in daily worship (assembly) which is led by members of staff and on Wednesdays we are visited by one of our local vicars. On Fridays we have a special celebration worship where success, effort and achievements are awarded to individual and groups of pupils. Special certificates are handed out to those pupils to take home and celebrate with their families. Lessons appropriate to the age and ability of the children in the class take place throughout the day, including daily Mathematics and English. 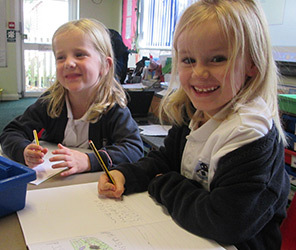 All teachers at Baydon are qualified and able to teach all ages and abilities.